Miga's is a cafe located in the Santiago, Chile suburb of Providencia. This photo was sent in by GCB. 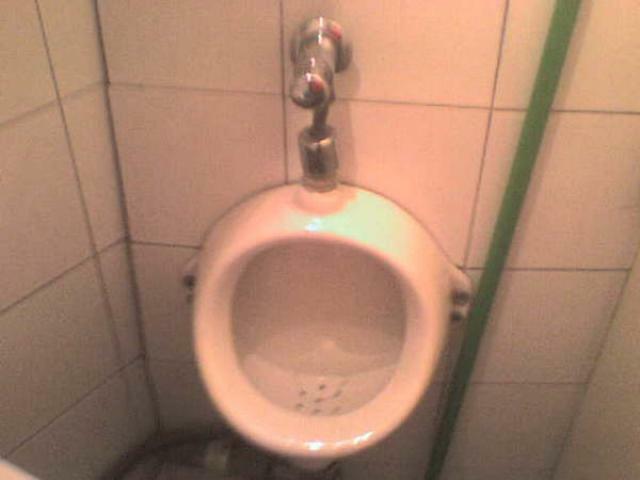 He writes: "This urinal is in a coffee [shop] in Providencia, Santiago, Chile. The place is called Miga's and the men restroom there aren't a toilet, only a urinal. I think the urninal is very small, and pee there is dificult. The rstroom is vesy small, (4 m2 aprox)"